It might take you a second to recall, but do you remember where you were about fifteen years ago today? Stuck in 2003, that's where. Back then, the internet was a budding resource we were all just starting to get familiar with, and between AIM statuses, Myspace Top 8s, Neopets, and Limewire, we were definitely taking no prisoners. But there were also tidbits of IRL nostalgia too, like shopping for books at Barnes and Noble, or actually buying these CDs that only had 12 songs at Sam Goody (RIP). 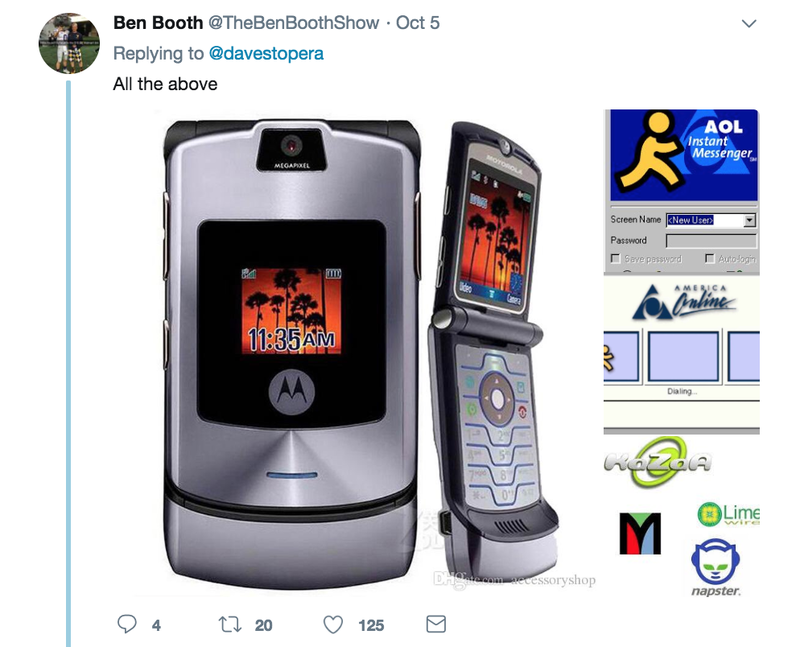 Dave Stopera took to Twitter to commemorate the long-gone days of yesteryear when he posed a question that would quickly go viral and have people from all corners of the web sharing where they were in the mid-2000s. He asked, "What's the most mid-2000s thing you ever did?" 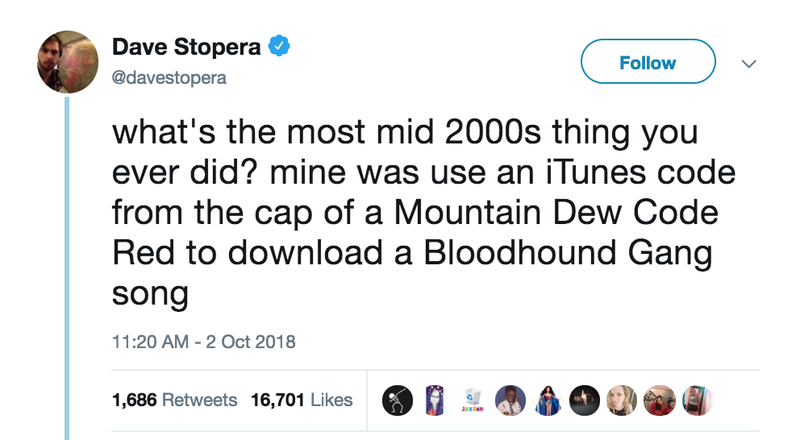 And even delighted the internet with his anachronistic response: "Mine was use an iTunes code from the cap of a Mountain Dew Code Red to download a Bloodhound Gang song." Well, well, well. While a plastic soda bottle with a download code is pretty spot on, other people had equally relatable memories that couldn't have occurred at any other time than the mid aughts. Take a scroll down memory lane with these extremely mid-2000 occurrences. For one, we all had janky MP3 devices that our 2018-selves would surely scoff at. Plus, remember how they would only hold, like, 30 songs? That was so much compared to the number of songs on a CD — I mean, it was more than double — and we had no idea iTunes was actually going to take off. "Bought an off-brand MP3 player instead of an iPod because I was 'afraid that iTunes thing wouldn't have all the songs I want'," responded @kblampson, and people could totally relate. One @KendraWrites even asked, "Was it a Diamond Multimedia's Rio PMP300? Because that was my first MP3 player." Twitter user @stephanie_fitz even introduced us to a brand of MP3 we'd never heard of: "I had a Creative Zen MP3 player. Nobody else I know has ever heard of it. My daughter actually found it yesterday and we rocked out to some old emo jams." Wow, I wonder what kids these days think of all that Modest Mouse and Good Charlotte we used to blast back in the day. I distinctly recall the jealousy I felt toward my friends who had these waterproof MP3s they could take down with them to the beach. One person even posted a photo of the minidisc player (!!) her boyfriend at the time got her. "It was 'the future,'" she wrote. 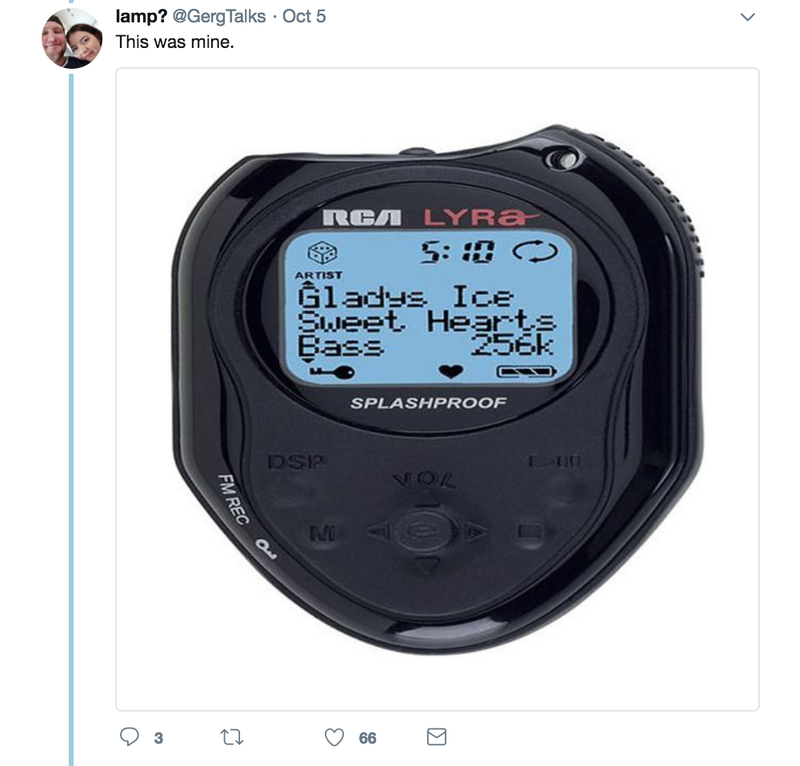 We really thought it would be. Another person posted this cardboard iPod, which needs no explaining, but actually kind of does because it's literally perfect. 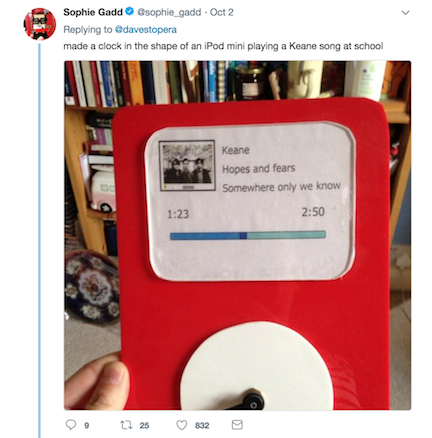 "Made a clock in the shape of an iPod mini playing a Keane song at school," wrote Sophie. Notice the song is paused at exactly 1:23 because we were very clever back then. While we're on the subject of music, it might be a good time to segue into social media, and our behavior on Myspace (pretty much the only socially acceptable platform to be on) during those early golden years of the internet. And @jamescervantes basically described all of our pages with his tweet: "Decorated my Myspace page so that when you'd open it, the first thing you'd hear is the loudest Linkin Park song." "Same, but it was Breaking Benjamin Breath lol," chimed in another user. "And my background was a black and white picture of some goth girl standing on a cliff ready to jump. #SoEdgy "
"Learned HTML for the sole purpose of customizing my Myspace page," added an ambitious @laurabellejean, who we hope is now making bank as a coder. But @courtmpif had everyone beat with a moment she shared that couldn't have taken place in any other decade: "Using ICQ to instant message friends while seriously debating who to put in my Top 8 on Myspace and then telling my mom that my grandma left a message for us on Callwave. I also put heart stickers on my hip when I got in the tanning bed so everything would tan except that spot." Boy, now I feel like I screwed up my tween years. Would it even be a roundup of the 2000s if we didn't take a moment of silence to remember AIM and MSN? One person shared their online flirting techniques: "Sign in and out of MSN messenger to make my crush notice me. With suitable attractive music playing." The tweeter then added, "Not forgetting the special font for your status update." Obviously, no one was taking customizable fonts, or your emo song lyrics, for granted. "-nd haha thanks those were such good times! Markus, you're definitely not alone in this one. I wonder if she ever picked up on it, or just thought you were that cool. And while most people only had one phone line and several family members who were equally interested in checking the internet, one woman proved that patience had its rewards. 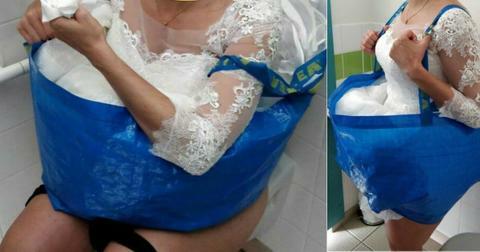 "Met my now-husband chatting on MSN messenger using dial-up internet," she wrote. I don't even have enough fingers to count the number of crushes I messaged on MSN, but I'm glad this woman stayed for the long-con and got to eventually sow the fruits of her online labor. Remember downloading music? It's not like the practice went away or anything, but now we have countless platforms we can pay nominal fees to use and don't have to take up all our computer's memory with a whole downloaded album when we really just wanted one song. "Once I spent three days downloading an episode of Buffy on Limewire because my VCR accidentally taped Frasier instead. 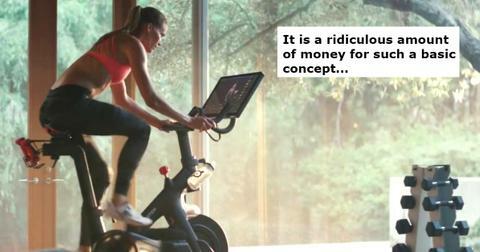 The video was 240x360," reminisced @emmapants. But some people got really creative with their downloads back in the day. "I changed all of the album artwork to every song in my mp3 library to my pop punk band's so that if/when they were downloaded from Kazaa/Limewire we got free publicity," wrote one emerging rockstar who enlightened some Limewire users. "This is the first lead I've ever gotten on why so many songs on LimeWire had the wrong artist or title," responded @ChrisRywalt. "Why would someone attribute 'Romeo's Tune' to Sting? Clearly Sting's Romeo's Tune was a punk band." His clever antic was commended by the internet, and the original poster even chimed in to compliment him, saying "You should've won the Nobel Prize for this." 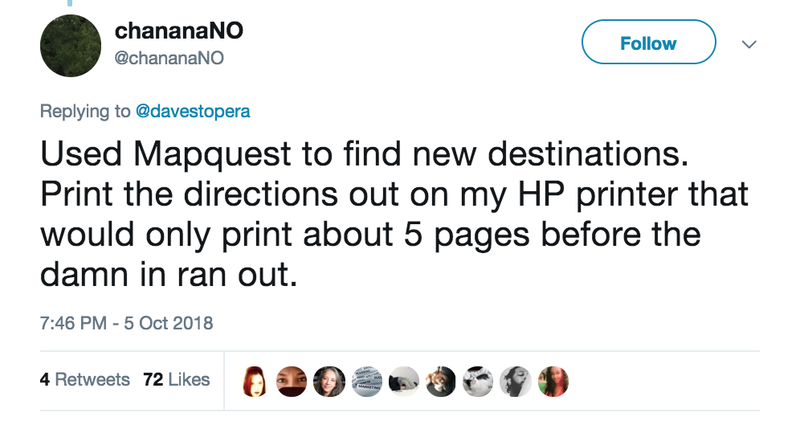 While some people scoffed at the mid aughts for not having all the technology available today — like this guy who recalled printing Mapquests as the only way to get directions — others remember those years as simpler times. 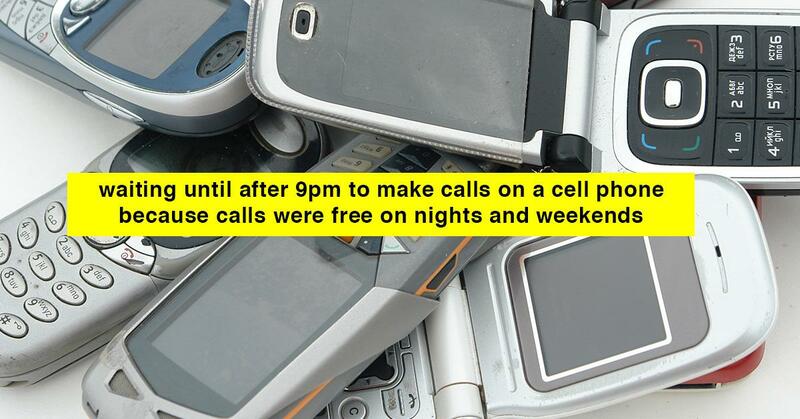 One person remembers waiting "until after 9pm to make calls on a cell phone because calls were free on nights and weekends, otherwise it used your minutes." "Or knowing what it felt like to have wait for next month cause you used all your MMS," added another. Come to think of it, 2018 isn't seeming so shabby after all. I do have to say, the fact that I didn't see Nokia's changeable phone covers on the thread was highly disappointing.